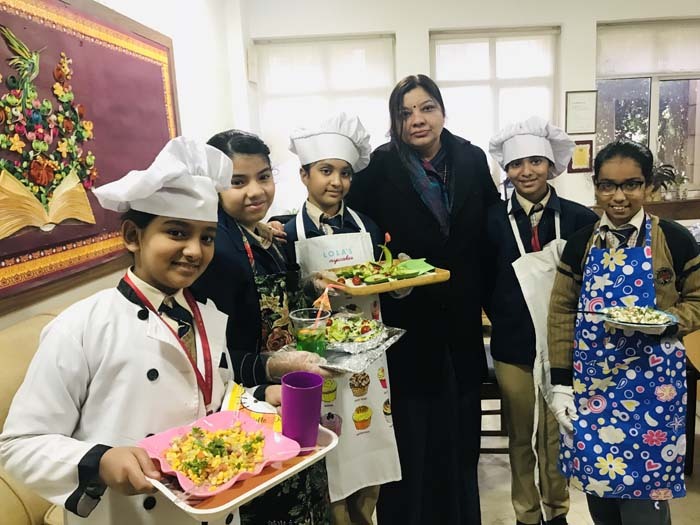 An interesting and creative salad making activity was conducted for the students of Class 6 at K. R. Mangalam World School, GKII in congruence with FSSAI on January 30, 2019 . 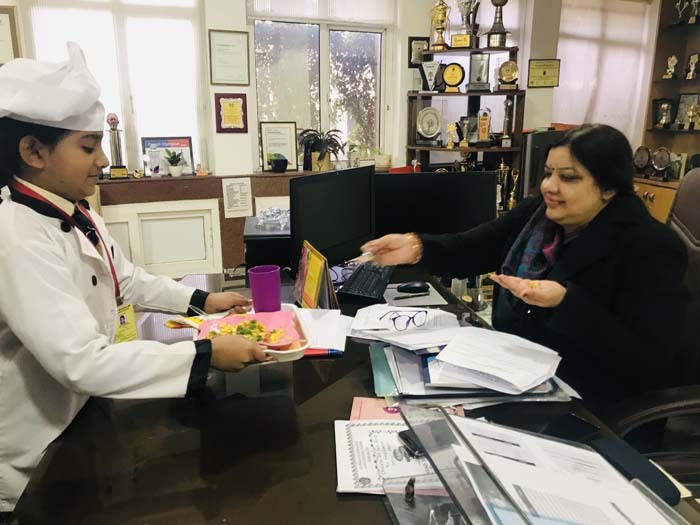 This activity aimed at encouraging students to eat nutritious healthy and hygienic food to maintain good health. The students really enjoyed making healthy dishes and they were very confident and excited to share their recipes with the principal.